Bienvenidos a Casa Vieja Lodge! What you find will amaze the senses. The smell of the world’s most productive waters. 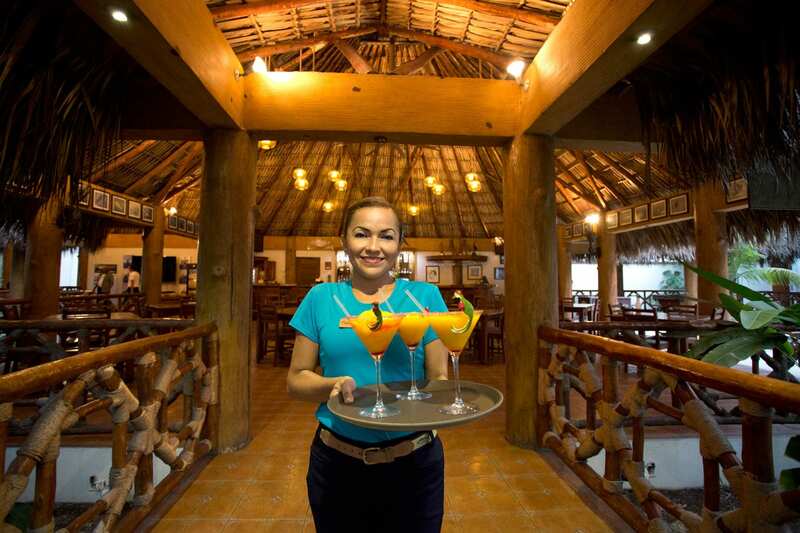 The taste of Guatemala’s finest dining. The sight of a trophy fish clear of the water. And as for feel…well, you’ve never felt this way anywhere else. Our 10 Boat Fleet is second to none. Choose a Fish & Stay package for 1 to 5 anglers. 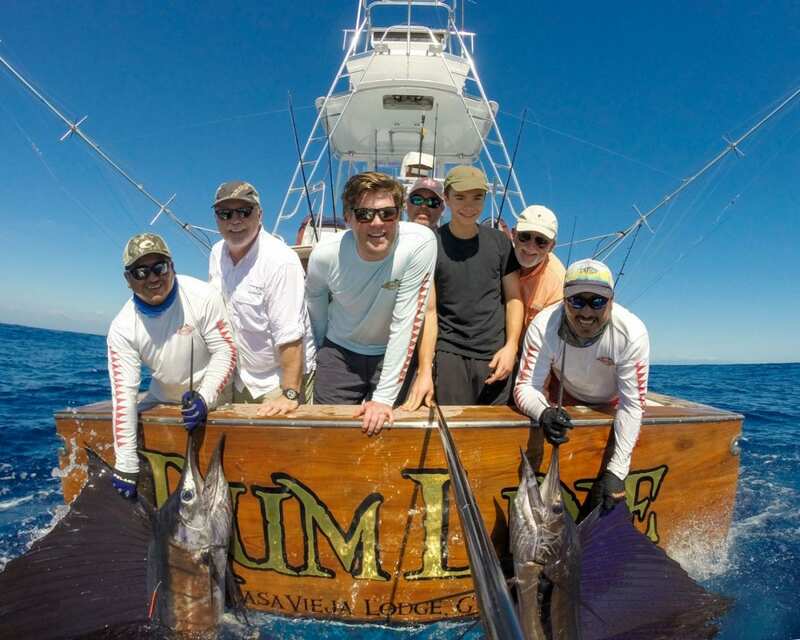 All comfortable and crewed by seasoned captains and mates, our fleet ranges from 35′ Contenders to 44′ Sportfishers. 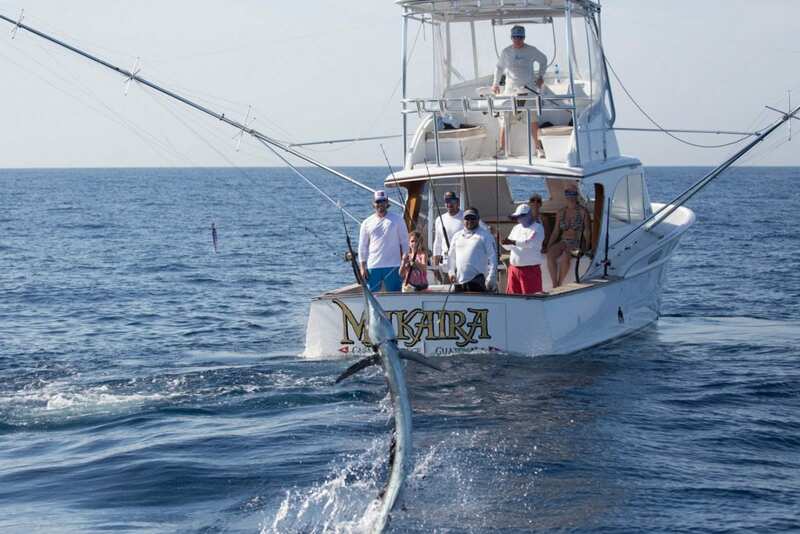 Our fleet raises an average of 12-15 billfish per day, per boat, for the entire season! 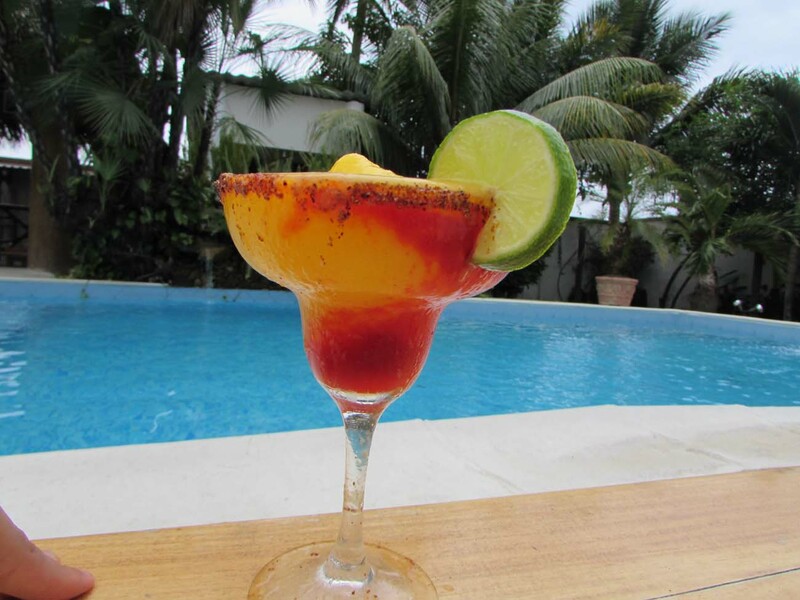 Accommodations include comfortable rooms, WIFI, Restaurant and Bar, Swimming Pool, Gift Shop, and more. Breakfast, Lunch and Gourmet dinner served daily. 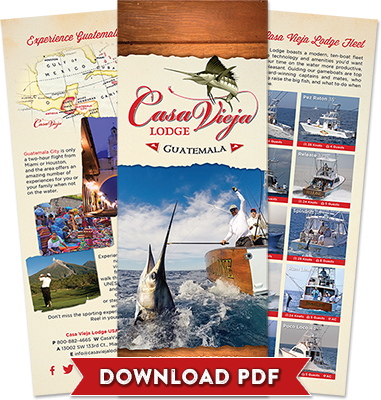 Latest fishing reports, tournament news, special offers & everything else going on at the lodge. 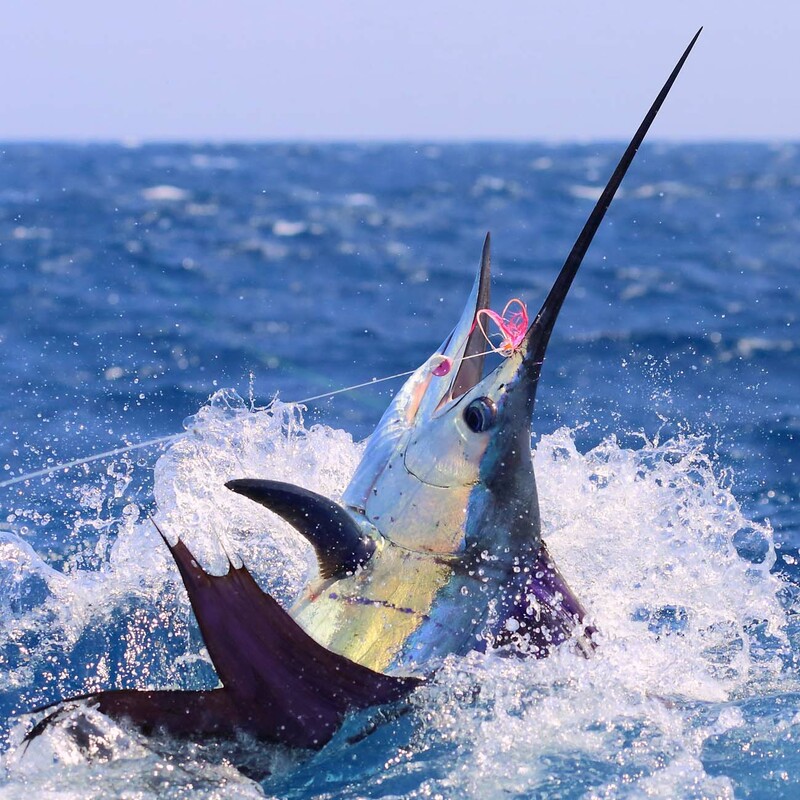 The Luck Of The Marlin! 3,022 Bites in February! Are YOU Tournament Ready? 28,027 Raises, 21,325 Bites, 12,404 Release in 2018!